1.In a large bowl, add the flour, sugar, salt, baking powder, and baking soda, poppy seeds and whisk to combine. 2.In a medium bowl add the almond milk, lemon juice, lemon zest, melted vegan butter, apple sauce and whisk to combine. 3. Add the wet mixture to the dry ingredients and gently fold with a rubber spatula until just combined. do not over mix! Its ok if your batter looks a bit lumpy. 4. Add the vegan butter to a non stick pan over medium low heat. Once the vegan butter has melted, reduce the heat to low and add ⅓ cup or 1/2 cup of batter to the pan. Depending on how big or small you want them! 5. Cook for 2-3 minutes, until bubbles start to appear on the surface. Flip the pancake over and cook for another 1-2 minutes, until golden brown. Repeat with the remaining batter. 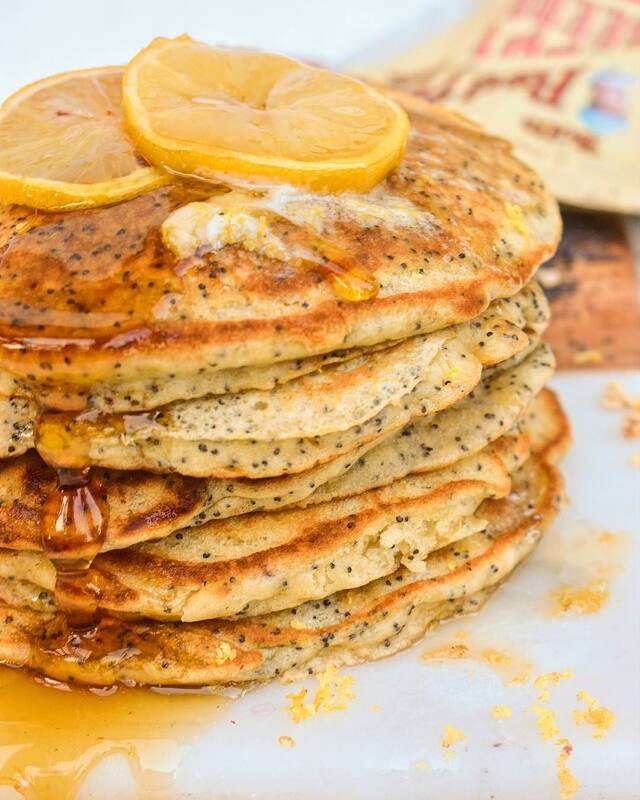 Serve the pancakes with vegan butter and maple syrup.